It hasn't been long since the holiday fuss has ended and here I am again working tirelessly to cater to the request of our wedding couples. I don't mind the extra work. I enjoy making cakes from start to finish. It gives me the most rewarding feeling when I see the final look of the cake. Anyway, this chocolate mud cake in rustic style has been wowing wedding couples since I made it for the first time in May 2014. Many of my cake's designs ( including this) are based on the client's wishes. This particular design stands out among the rest. Its' simple "home-made" look is probably the reason why it has become so popular. 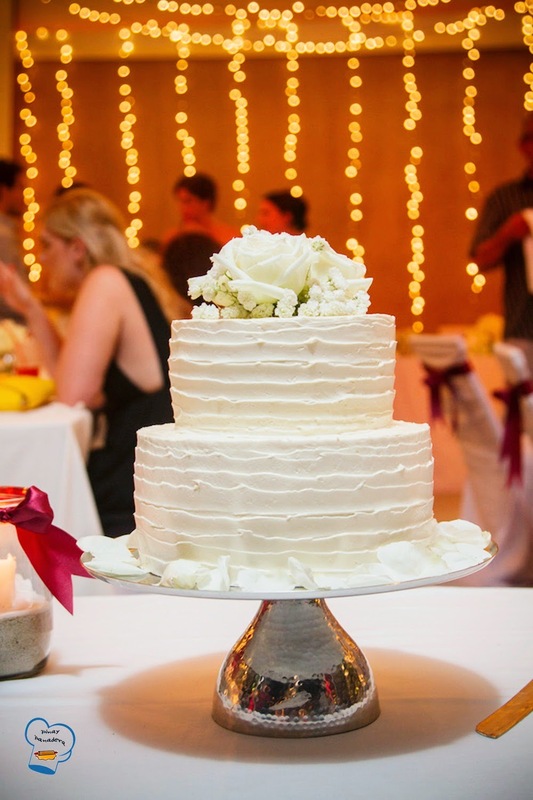 A two-tier wedding cake was enough for this small group. I layered and frosted this decadent chocolate mud cake with Swiss Meringue butter cream. 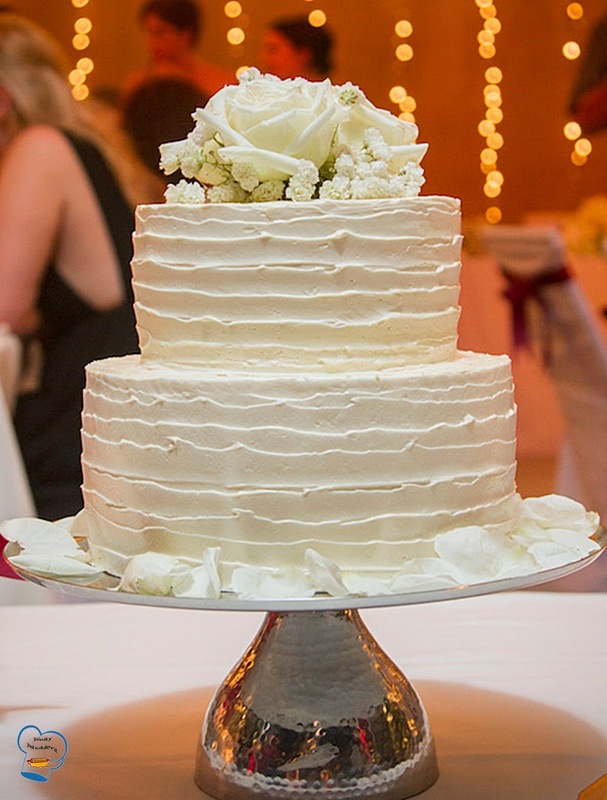 The simple flower arrangement on top gave the cake a perfect finish.